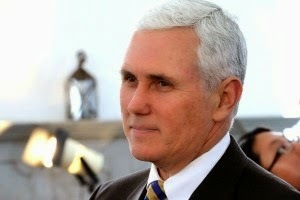 The Reaction: Mike Pence in 2016? BWAHAHAHAHAHA! Since Pence resigned as chairman of the House Republican Conference in November 2010 to run for governor, conventional wisdom held that he would bide his time in Indianapolis, padding his résumé with executive experience before mounting a presidential bid. After all, no one gets elected president from the House—American voters prefer governors, chief executives who have actually governed. The working theory of a Pence bid, according to his allies, such as Kellyanne Conway, his longtime pollster, was somewhat Rube Goldbergian but plausible: If establishment and movement conservatives deadlocked in a primary, Pence could emerge as the consensus candidate. But when Pence signed the religious freedom bill into law last Thursday, that theory began to crumble. Things sure can change quickly.